We learn who we are as we walk together in the way of Jesus. So I want to invite you on a pilgrimage. Rwanda is often held up as a model of evangelization in Africa. Yet in 1994, beginning on the Thursday of Easter week, Christians killed other Christians, often in the same churches where they had worshiped together. The most Christianized country in Africa became the site of its worst genocide. 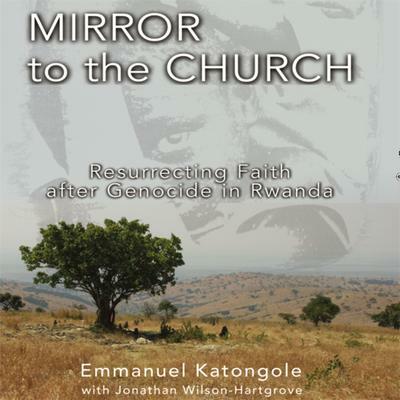 With a mother who was a Hutu and a father who was a Tutsi, author Emmanuel Katongole is uniquely qualified to point out that the tragedy in Rwanda is also a mirror reflecting the deep brokenness of the church in the West. Rwanda brings us to a cry of lament on our knees where together we learn that we must interrupt these patterns of brokenness But Rwanda also brings us to a place of hope. Indeed, the only hope for our world after Rwanda’s genocide is a new kind of Christian identity for the global body of Christ—a people on pilgrimage together, a mixed group, bearing witness to a new identity made possible by the Gospel.